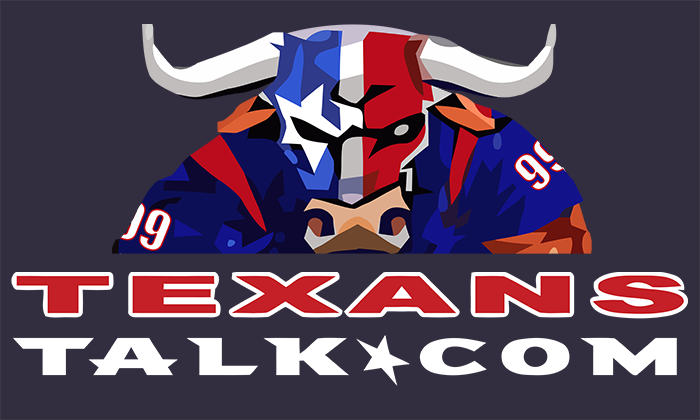 Discussion in 'Texans Talk' started by Hookem Horns, Sep 17, 2018. 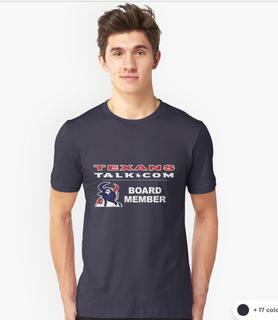 Support and Represent TexansTalk.com on the streets! 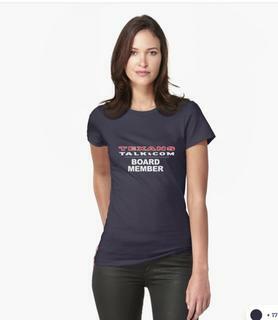 Actually I have been using RedBubble for our company and some other things. 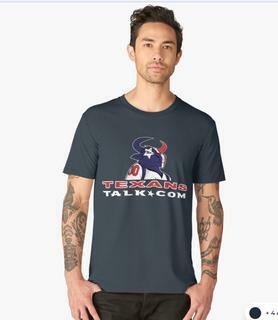 The quality is excellent so I decided to do something for TexansTalk.com. Any proceeds back to us will go toward maintaining the site. Enjoy! macho grande, NitroGSXR, austins23 and 4 others like this. I'd be down to order one, but it might be dangerous if some of us print our user names on them huh? disaacks3, santo, ATXtexanfan and 4 others like this. Because last time we ordered clothing on here it went so well! Dutchrudder, disaacks3, Carr Bombed and 1 other person like this. So if that's Infantrycak he's younger than what I expected but he's got that smart-azz smirk on his face that I knew he's have. Sorry I missed this before! 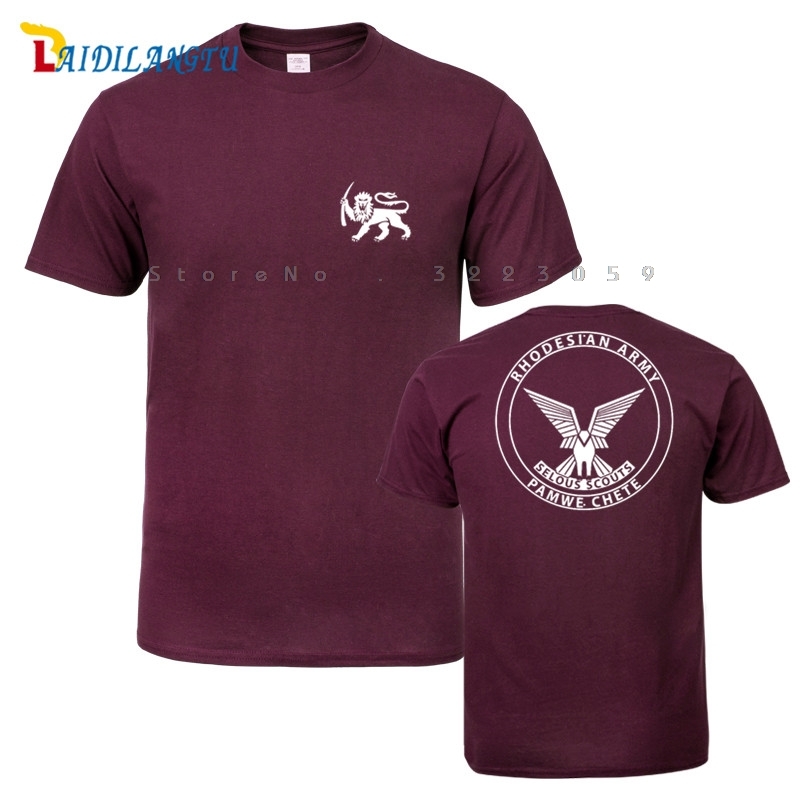 I would love to make a small logo and large print on the back. Unfortunately Redbubble doesn't have a way to do 2 sided shirts yet. The only thing I can do right now is change up the designs on the front. One thing I will say about Redbubble is the quality of the shirt is excellent. I've been using them for my business and messing around with other things. BTW, I might make $2 to $3 max on a shirt so it's not really about that. I just did this for fun. LOL, these aren't knock off NFL jerseys from Asia posted from a shady member of the website. Texanmike02, JB, disaacks3 and 2 others like this. I would love to make a small logo and large print on the back. Unfortunately Redbubble doesn't have a way to do 2 sided shirts yet. The only thing I can do right now is change up the designs on the front. Maybe some with only designs on the back then. Nice shirt, but ladies run a little small compared to others ordered in the same size. If you tell them that they will probably send you the next size up for free. They did that for my wife because she had that issue with one of the women’s shirts. The men’s shirts have been accurate with sizes. 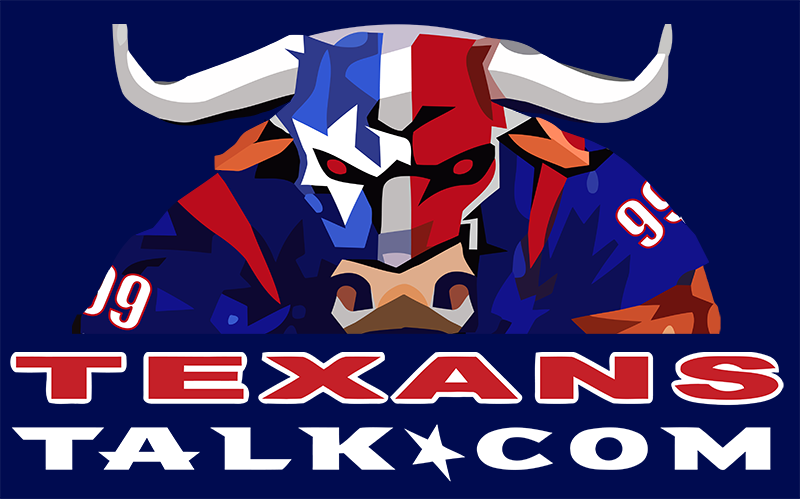 Created a new mascot for Texans Talk. Thoughts? 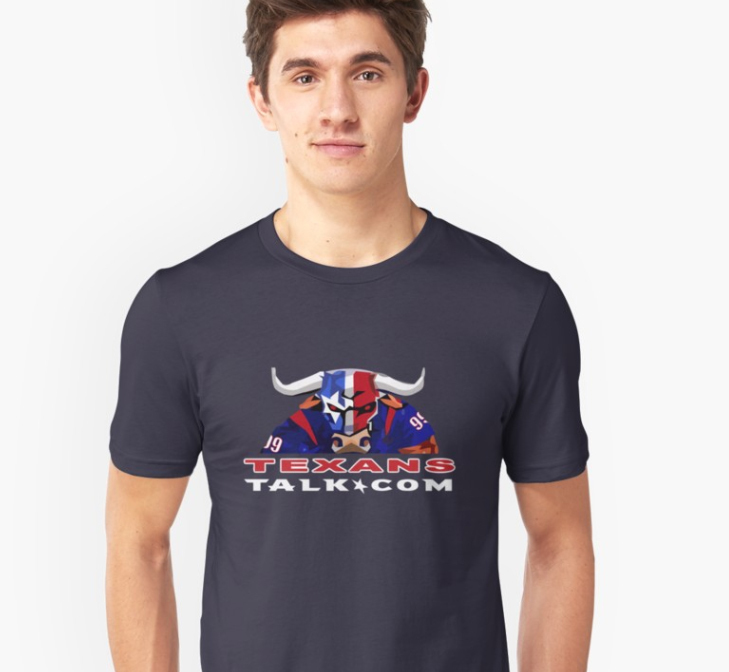 TexansBull, disaacks3, JamTex and 7 others like this. This on the back, with the username on the front breast. Perhaps with flame or smoke added ala? OptimisticTexan, santo and DBCooper like this. I would love to do front and back shirts. Like a pocket size logo on front and big one on back. Redbubble doesn't do front and back however their shirts, print and pricing is excellent. I will check around and see if there is another one like Redbubble that will do both sides. disaacks3 and JB like this. Very much digging this. If I'm sober in the near future 'I know a guy who knows a guy', and will try to see about printing. Redbubble is doing 25% off today. Use the code "GET25TODAY". I just uploaded the new logo for anyone interested.